Friends of the Kaw’s Annual Dinner & Silent – RSVP Deadline TODAY! Our guest speaker is Tracy Streeter, Director of the Kansas Water Office. He will speak about the 50-year vision for the future of water in Kansas. Enjoy a buffet dinner, cash bar, informative presentation and the opportunity to do some holiday shopping. The cost is $45/person and RSVPs with a check or credit card need to be made by today. Call 785 312 7200. MORE INFORMATION on the event and how to make a reservation. We also need items for the Silent Auction so if you have a donation please let us know! On October 22, 23, 24, 26 and 27 Friends of the Kaw held our first Kids About Water (KAW) classes with seventh grade students in Mr. Jim Brabac’s science class. 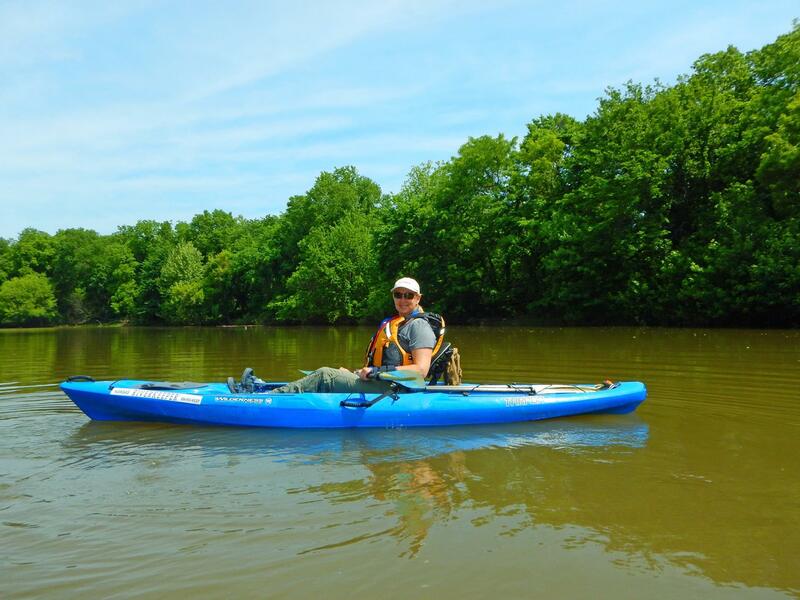 The KAW class is a five-lesson water quality issues and actions curriculum that targets students in grades 6-12. The class informs students about stormwater issues and problems and actions they can take to be part of the solution. 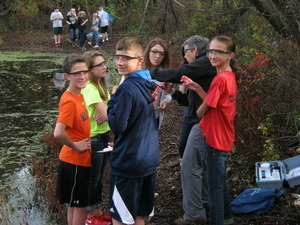 Pictured to the right are students doing water testing at a small pond adjacent to the school in De Soto. 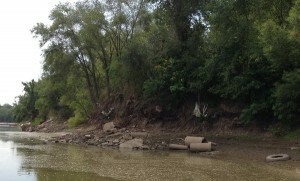 This activity is funded by Johnson County Stormwater Education Grant. We want to thank all the volunteers who helped the kids test water last Thursday and Friday. Everyone enjoyed themselves and most likely learned something!